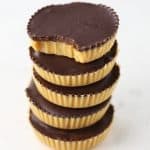 Easy Peanut Butter Cups are a delicious low carb substitute for store bought peanut butter cups. They’re also sugar free, dairy free and gluten free. 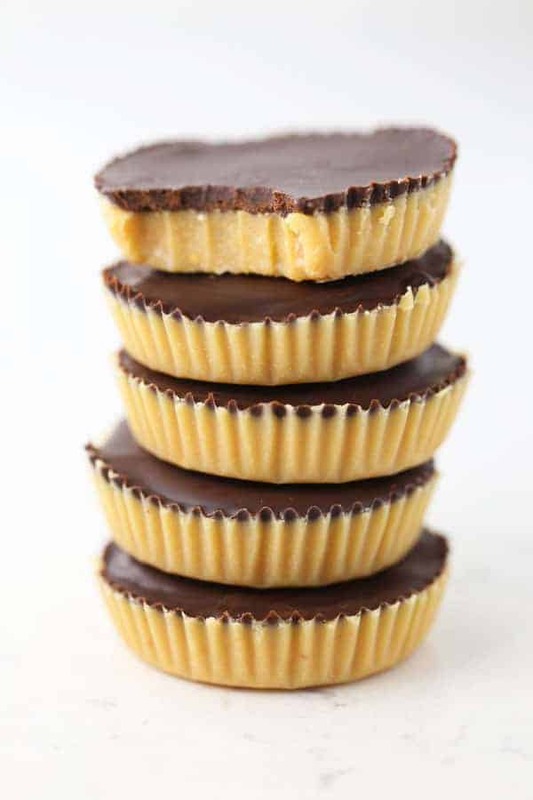 These Easy Peanut Butter Cups are a great little treat if you’re on a low carb diet. 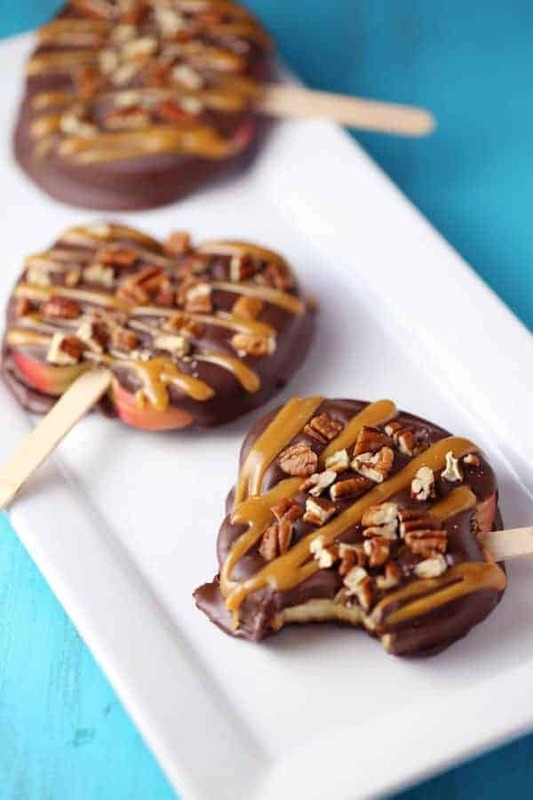 Just the right amount of sweetness and the always popular chocolate/peanut butter combo! Also a fun snack if you can’t have gluten and/or dairy. 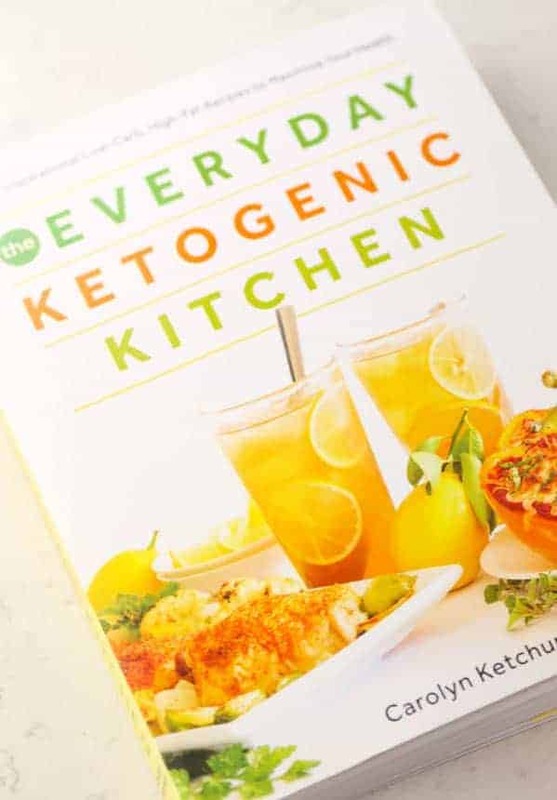 I love how easy this recipe is, just 6 ingredients! And although I love baking, I also love no-bake desserts. You don’t even have to turn the oven on for this one! 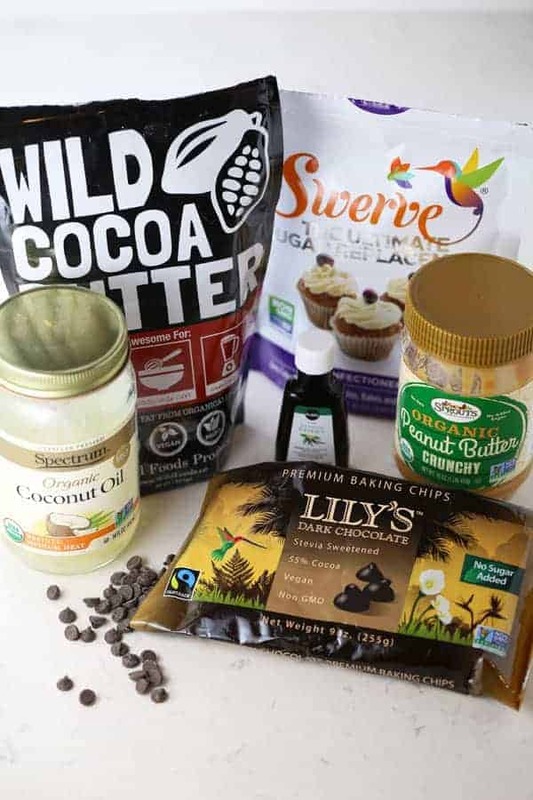 To make Easy Peanut Butter Cups, melt the peanut butter, butter (or coconut oil), and cacao butter in a saucepan over low heat, stirring until smooth. Stir in the sweetener and vanilla. Pour into 12 muffin cups lined with cupcake liners. Refrigerate about one hour. Melt the chocolate in a double boiler and stir until smooth. 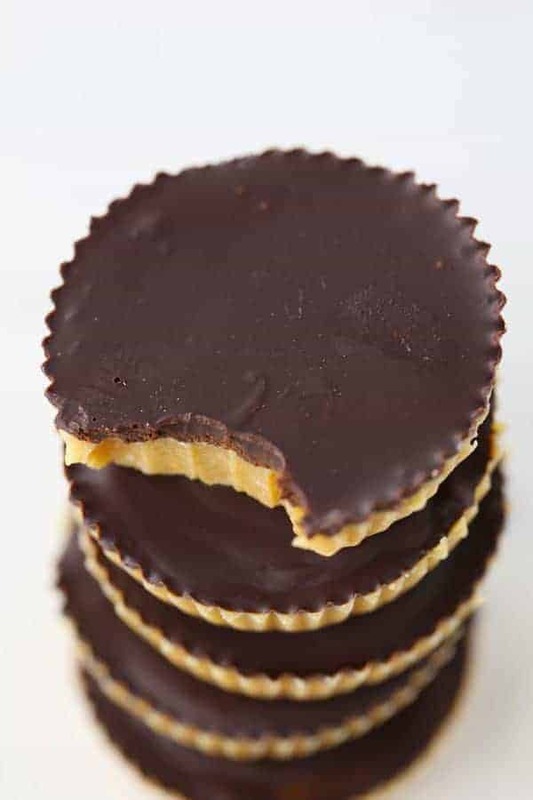 Add a teaspoon of melted chocolate to each chilled peanut butter cup and spread to cover. Chill again for about 15 minutes. And they’re done! Taste and enjoy! 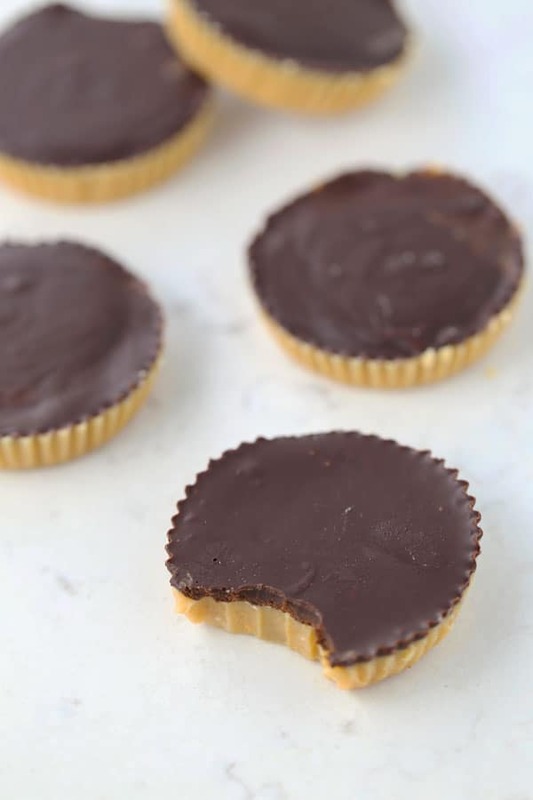 Love these Easy Peanut Butter Cups! I hope you try them! 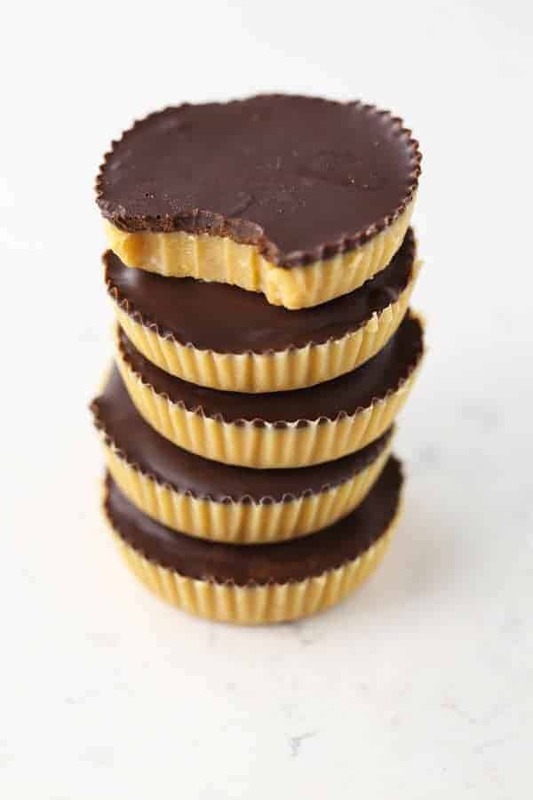 Watch me make Easy Peanut Butter Cups live on my Facebook page. 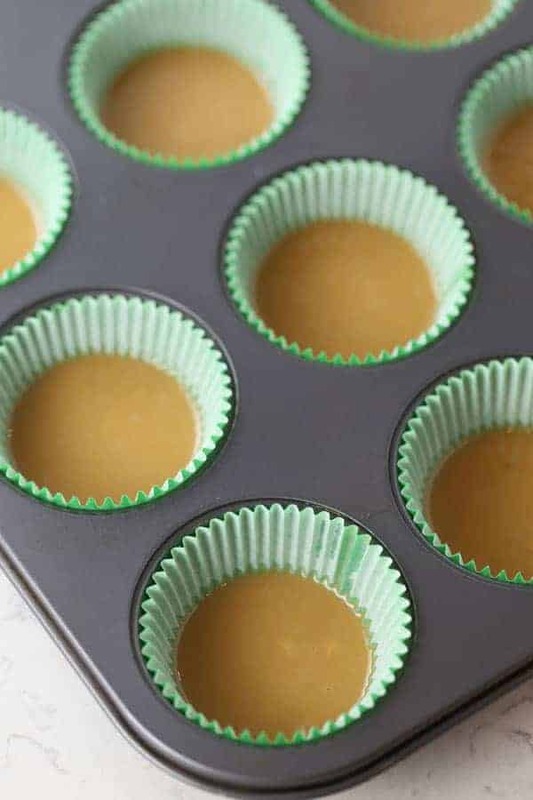 Line a standard 12-cup muffin pan with parchment paper cupcake liners or silicone liners. Melt the peanut butter, butter, and cacao butter in a medium saucepan over low heat, stirring until smooth. Stir in the sweetener and vanilla extract until well combined and no lumps remain. Divide the mixture among the prepared muffin cups, filling each one-quarter full. Refrigerate until firm, about 1 hour. Set a heatproof bowl over a pan of barely simmering water. 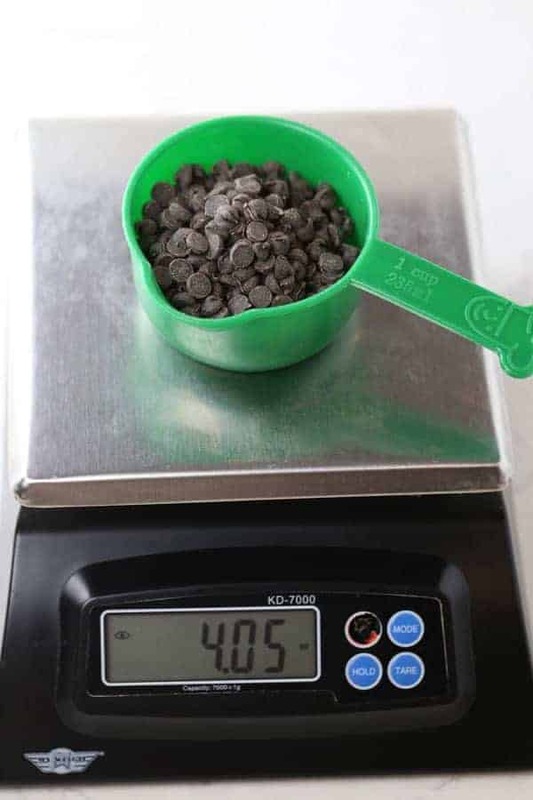 Put the chocolate in the bowl and stir until melted and smooth. 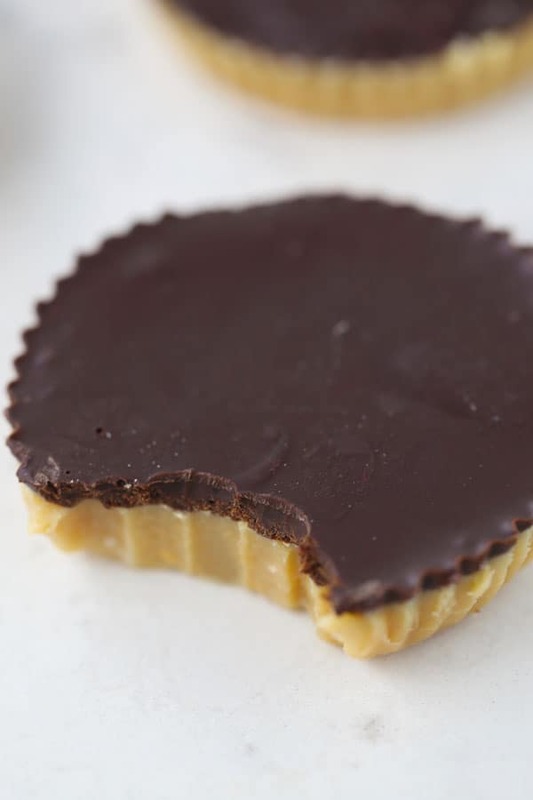 Drizzle about 1 teaspoon of the melted chocolate over each peanut butter cup and spread it to the edges. Return the cups to the refrigerator until set, another 10-15 minutes. Store in the refrigerator for up to a week (if they last that long! ).